If there’s one skincare concern we all have, it’s the bags and circles underneath our eyes. Whether they’re genetic or the result of a sleepless night, we want them gone. Fast. Even if we don’t have them now, we know they’re coming, and the more intensely we can prevent them, the better. We can use eye cream and get lots of sleep, and that’s great, but a little backup goes a long way, and one of our favorite reality stars of all time can attest to that. 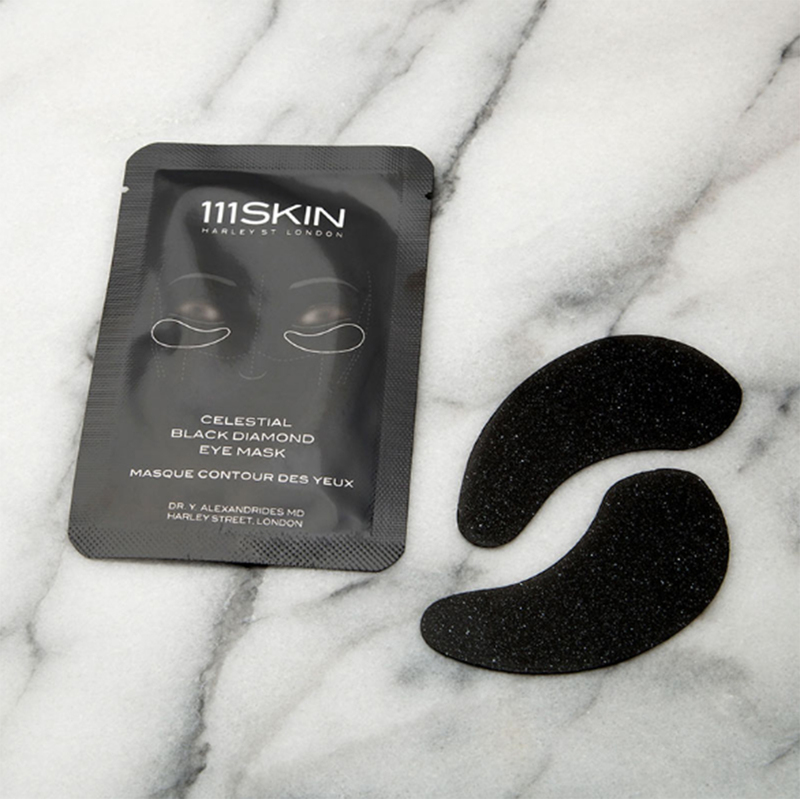 The 111SKIN Celestial Black Diamond Eye Mask is a favorite of Kristin Cavallari, who listed it as one of her beauty must-haves in a recent video. The Very Cavallari star lives a fabulous but hectic life, and husband Jay Cutler can only help with so much! Cavallari leaves her eye care to the professionals. 111SKIN was founded by a plastic surgeon, after all! 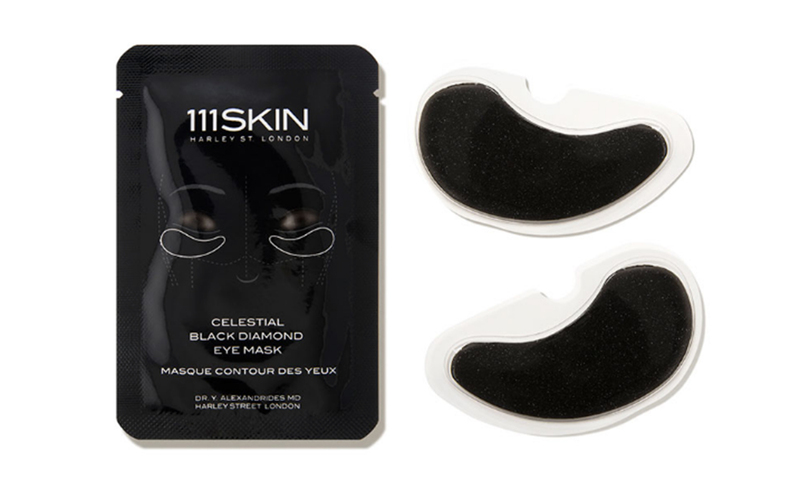 See it: Get a set of eight 111SKIN Celestial Black Diamond Eye Masks starting at just $98 at Dermstore! Cavallari explained how these eye masks are an essential on days when she’s filming her reality show. She said her mornings can be “very hectic,” and that she wakes up just after 5 a.m. almost every day so she can fit a gym session into her schedule before her three kids wake up. After her early-morning workout, she begins to prepare breakfast or school lunches for her family, and makes sure to pop these eye masks on while cooking and packing. “My kids think I’m crazy, but oh well,” she said. That’s the spirit! No shame in our skincare game. These eye masks are stuffed full of the most sought after ingredients in skincare. They have a granactive retinoid, and no, we don’t need a prescription for it! Retinoids are extremely popular with dermatologists when it comes to anti-aging solutions, as well as for acne. This retinoid may totally blur out the fine lines and wrinkles underneath our eyes, as well as reduce UV damage, such as hyperpigmentation. Along with the retinoid comes the hyaluronic acid. If we’re going to be using a retinoid, we need something hydrating and moisturizing to keep our skin plump and healthy. The hyaluronic acid works with niacinamide, another star skin ingredient known for its claims to reduce redness, even out skin tone, fill in fine lines and brighten up our complexion. Oh, and we can’t forget the super sterol liquid, which is a natural emollient that may soften our skin even further. That’s not the end of this supergroup of skin saviors! These eye masks also contain NeurobioxTM, which might be a new one for many of us. This yarrow extract claims to act as a “skin biosurfacer.” We’ll explain. This ingredient may work similarly to glycolic acid, shrinking the appearance of pores and “rejuvenating” our skin for a smoothed out glow. These masks also have a “potent peptide” to target anti-aging and, of course, black diamond particles, which may help all of this goodness absorb even deeper. Luckily, the masks themselves were made to encourage maximum absorption power. They’re no cotton pads. They’re made of hydrophilic hydrogel, which claims to have “superior adherence” to the skin! To use these eye masks, we first start by cleansing, following up with toner, patting and pressing it into the skin. Once skin is dry, remove the protective films from both sides of the masks, and apply the remaining middle sheets to the under-eye area, shaping them to fit the natural curve of the eye as shown on the package. Leave on for 20 minutes or until completely dry, and then peel off and continue with skincare routine. Always moisturize! We love these eye masks because they don’t affect our ability to go about our lives like a sheet mask does. With a sheet mask, we can’t open our mouth up more than half an inch and we’re afraid to move around too much, but these eye masks keep things easy. We may even forget they’re on, so we may want to set an alarm! So we know this set of eight masks is a great pick for Cavallari, but not all of us star in a hit television show. Luckily, these eye masks are for everyone! They’re a fantastic choice for travelers, especially when jet lag is an issue. They’re also ideal for studying students or late-shift employees who can never seem to get enough sleep. Actually, the same goes for day-shift employees. Moms would appreciate this as a gift too, and it would also be a refreshing treatment after a tough gym session! With these eye masks, we may be on our way to more youthful and more radiant skin, so get ready to say bye to dryness, puffiness and dark circles! We know we can’t wait. Looking for something else? Check out more from 111SKIN here and other eye care products available at Dermstore here!